Felipe V, King of Spain. Rigaud. King of Spain, born 19 December 1683, in the Palacio de Versailles (Paris), and died in Madrid, 9 July 1746. His reign had two well-marked periods: from 1700 to 1724 and 1724 to 1746. With this Monarch was introduced in Spain the French dynasty of the Bourbons, as well as represent the longest reign. Felipe was the son of Luis, great Dauphin and heir to the French throne, and María Cristina Victoria de Baviera. His paternal grandparents were Luis XIV of France and María Teresa de Austria, sister of Carlos II of Spain, so it was also great-grandson of Felipe IV of Spain. This family Alliance allowed Felipe being appointed Duke of Anjou and heir to the Crown by the dying Spanish King Carlos II, Spanish 2 October 1700. The last years of the late Spanish King passed under the pressing need for an heir to the throne. His two marriages failed in that aspect, which plunged even more the end of the already dying monarch. 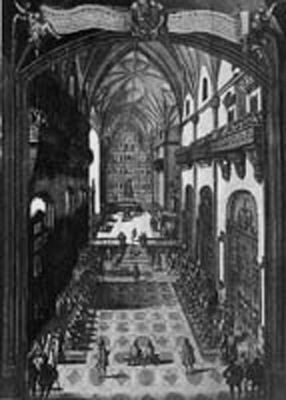 The Spanish Court became a nest of intrigue and negotiations of all kinds by the ambassadors of the largest monarchies, which wanted a piece of the still-rich Spanish territorial possessions, especially the American territory. Felipe accepted finally the throne, November 16, 1700, waiving their rights to the throne of France, since this clause imposed by the Spanish King Felipe IV, was an essential condition for access to the Spanish throne. It seems that Felipe IV, father of Carlos II, already envisaged the future succession problems that were to befall you to the insane from his son. Felipe V married (first marriage) with María Luisa Gabriela de Saboya, in November 1701, of which marriage were born four sons: Luis (1707-1724), successor in 1724 for the throne and died suddenly in the same year; Felipe (1709), died shortly after birth; Felipe Pedro (1712-1719); and finally Fernando, who would reign at the death of his father with the name of Fernando VI. The Queen died very young, of pulmonary tuberculosis, the 14 February 1714, coinciding with the rales of the war of Spanish succession. On 16 September of the same year, Felipe V remarried with Isabel de Farnesio. This marriage was ratified in Guadalajara, on 24 December of the same year. The new Queen was a woman of strong character, up to the point that nothing else reach the Court expelled, without regard, the Princess des Ursins, 70-year-old woman and that always dominated the monarch. This marriage would mean the definitive loss of the French influence at the Court, and an increasing preponderance of the Italians, led by the Abbé and Prime Minister July Alberoni. Isabel de Farnesio Felipe V gave a good number of children, who tried to assure Duchies and kingdoms Italian, since the succession to the Crown was first taken into the first marriage children. The Queen, with enough political ambitions, would succeed one to one with a good estimate of the future: his first son and favorite, Carlos (1716-1788) would be eventually King of Naples and the two Sicilies, and later King of Spain; Luis Antonio (1727-1785) was named Cardinal and Archbishop of Toledo Toledo headquarters; María Teresa (1726-1746) was given in marriage to the Dauphin of France; María Victoria (1718-1781) married the King of Portugal; Felipe (1720-1765) was appointed Duke of Parma. In the year 1746, an attack of apoplexy ended suddenly with the life of the monarch who resided at the Palacio del Buen Retiro. He/She died in the arms of his wife and spiritual assistance. His remains were taken, by testamentary disposition, to the Royal site of San Ildefonso, building built in imitation of Versailles. The situation of Spain to the arrival of Felipe V was a total ruin in the Hacienda, with an army broken, badly prepared and disorganized, with a level of corruption and stagnation in the alarming administration, and above all, a smear on the outside which was increasing. During the reign of Carlos II, Spain went from being the first European power to occupy a secondary position or mere comparsa in foreign policy: it was causing the collapse of Spanish power which had already started at the beginning of the 17TH century. This loss of political power was due in large part to the pressure that served as France, as the new power leader, over the possessions of Spain on the continent. Luis XIV, to marry María Teresa de Austria, harbored the desire to create a Bourbon Alliance in Europe, and even to unite in a single head two countries: France and Spain. The Testament made by Carlos II in favour of the Duke of Anjou initially favored these projects of the French monarch. However, due to the clause imposed much earlier by Felipe IV, which forced the pretender to the Spanish Crown to renounce their previous titles, Felipe had to renounce their possible rights to the French throne. Although the Emperor of Austria did not accept testamentary disposition favorable to Bourbon, claiming the rights of her son Archduke Carlos of Austria, both England and Holland supported the decision of the dying King. However, the situation changed soon sign because of the threatening and expansionist claims that Luis XIV showed. Princess des Ursins, at the direct service of Luis XIV, decisively influenced the weak Felipe V, so that this followed a policy too beneficial to France. Powers did not want a too strong and powerful France that could break the fragile political balance of the continent. Such fact, the powers reacted by joining around the pretender of the House of Austria. Opposition to the Bourbons, both French and Spanish, was composed of Austria, England and Holland, with the signature of the great Alliance of the Hague, signed September 7, 1701, which later Portugal and Savoy were joined. The European powers recognized as King of Spain Carlos of Austria, 12 September 1703: war is served. The dispute over the European hegemony became in Spain in a kind of civil war, where two different conceptions of the Government of a country were being resolved: the pactista of the Austria, or the centralized model that Luis XIV had imposed in France. The Crown of Aragon opted for the sake of the Archduke, while most of Castile sympathized with the cause felipista. The first period of the war encompassed the years 1701 to 1706. It was totally unfavorable to the cause of Felipe V, who had as main objective to defend Spanish possessions in Italy, where he/she was wounded at the battle of Luzzara. Even so, the Austrians failed to seize the Milan. The military setbacks in Europe were happening, one after the other: English Malborough provided to Allied command of the low-Rhine and Meuse. In the campaign of the year 1704, Felipe V's army was annihilated near the Danube River. Until the year 1704, the conflict did not penetrate in peninsular land. Felipe V personally led the offensive against Portugal, and was able to prevent the allies to enter Spain by that area, but could not prevent the capture of Gibraltar by the British, in August 1704. England tried to make with the square of Ceuta, in order to control the entrance and exit to the Mediterranean, but the action failed. In his tour of the East Coast, the Allies managed to make with the city of Dénia, where Archduke Carlos as King of Spain, proclaimed on August 8, 1705. The victory trying in the battle of Almansa, April 25, 1707, the fate of the war began to lean in favor of Felipe V. In this confrontation, the Duke of Barwick captured 9,000 allies, which gave a tremendous coup to the Archduke Carlos, who was in his headquarters in Barcelona. Almansa began a rapid process of conquest of much of the old Aragonese Crown by the troops of Felipe V.
France was going through a difficult economic and political situation, with the technical bankruptcy of its finance and by the constant Allied victories in Europe, so that reduced military aid to the cause felipista. Took advantage of this circumstance the allies conquered Zaragoza and in Madrid, entering the year 1710. but these were the last tail austracists. December 10, 1710, Felipe V's troops defeated in the decisive battles of Brihuega and Villaviciosa allies, breaking the cord that connected to the troops of the Archduke in Catalonia with the rest of the Peninsula. Only resisted the push of the troops of Felipe V Cataluña and the Balearic Islands; the rest fell into the hands of the pretender Bourbon with ease. In this frame of mind, two important facts came to accelerate the establishment of peace talks and to favour the definitive establishment of the Bourbon dynasty in Spain. England triumphed a new Conservative Government that had no interest in continuing the war. The second element, much more important than the previous one, was the death of the Austrian Emperor, José I, in 1711. The heir to the throne was the Archduke Carlos. This event forced the allied powers to vary its position, since on the danger of breaking the balance did not come already from France, but from Carlos. If this could stick two crowns: the Spanish and the Austrian would become to the same situation that occurred at the beginning of the 16th century, with the figure of Carlos I of Spain and V of Germany. A powerful State would break the political balance of Europe by all sides. France and England began, that same year, to engage in secret peace talks that culminated in the Treaty of Utrecht, in the year 1713, and Rastadt, in the year 1714. For the first of them, Felipe V renounced the French Crown, was recognized as King of Spain, and was consecrated the loss of Gibraltar and Minorca (this subsequently recovered) in favour of England. The consequences of the war were considerable. At the international level, signed treaties were the consolidation of a new political map and the triumph of a policy of continental balance between France and Austria, with England in the role of caretaker or referee. In Spain the war still lasted a few years at the refusal of Catalonia to accept the victory of Felipe V. Despite its heroic resistance, Catalonia was defeated by the Royal troops, after the successive fall of its main squares: Barcelona (September 11, 1714), Cardona (18 September 1714) and Palm (3 July 1715). The consequence for the ancient Crown of Aragon by his stubborn "rebellion" against the King was the implementation of the so-called Nueva Planta decrees, promulgated in 1716, that under the guise of "crime of rebellion" were repealed the former autonomous organization of countries that were part of the Catalan-Aragonese Crown. In this way, all the kingdoms were reduced to the laws of Castile, both legally and administratively. This new centralist reorganization responded fully to the wishes expressed by the new monarch. The reign of Felipe V.
With Isabel de Farnesio as Queen, it changed the course of Spanish foreign policy. Now the interests of the Kingdom went to Italy, with the clear intention of recovering what was lost in the different treaties signed after the peace. To do so, was appointed as Prime Minister Julio Alberoni. By this new revisionist and bellicose reaction of Spain, England, Holland and France formed the Triple Alliance under the desire to keep the signed treaties. Alberoni went ahead with its military pressure, which commanded an army in the year 1717 which managed to seize the island of Sardinia and Sicily. The Triple Alliance was augmented with the addition of Austria, who was especially threatened by the aggressive policy of Spain in Italy. The four powers officially declared war on Spain in the year 1718. The Spanish Armada was defeated in that same year, compared to Pesaro, by the English. After this first military failure, Alberoni tried to play a diplomatic trump card with clear tinge of espionage and sabotage, trying to overthrow the Regent of France, the Duke of Orleans. The plot was discovered and France unilaterally declared war to Spain, which found themselves suddenly single and faced with the great powers, without any support. In a last attempt to succeed in the difficult situation, the Spanish Crown openly supported the cause of James III to the English throne, but the fleet sent to Scotland, in the year 1719, was scattered by bad weather. The little army that came to England was crushed without punches. After such failures, Felipe V Alberoni and eventually joining the Alliance, in the year 1721. Felipe V sought a new approach to France, so it established a new marriage between the heir to the Spanish Crown, Luis Borbón, and María Luisa de Orleans. Thanks to the Congress of Cambray, of the year 1723, Austria recognized the right of succession of the Spanish Marines to the duchies of Parma, Tuscany and Plasencia, which met, especially the aspirations of the Queen Isabel de Farnesio, which placed their children in those possessions. Felipe V began to show symptoms accused of mental disturbance from 1724. That same year he/she abdicated in favour of his son Luis I, on January 10, alleging his desire of withdrawing at the Palace of San Ildefonso, for according to him, meditate about eternal salvation and to live as an ascetic. It is very likely to use that excuse to be able to get the French Crown. Died the Duke of Orleans and on the verge of death, childless, the young Luis XV, access to the French throne seemed an easy and possible project. But who died suddenly was his son Luis from a smallpox badly cured, on 27 August of the same year, so, against his desire, you had to wrap the Spanish Crown. Second reign of Felipe V.
The second part of his reign was actually held by his wife and his successive ministers, since the monarch was suffering from frequent depressive periods and madness, which kept him from all the Affairs of the Government. Isabel de Farnesio believed convenient to start a rapprochement with Austria. This signed with the Emperor, in the year 1725, a secret Treaty of Alliance, while Carlos and Fernando's marriage was concluded with two Austrian archduchesses. The Alliance had several purposes: retrieve the Spanish Crown to Gibraltar and Minorca; obtain for Austria's great commercial benefits in the American colonies of Spain; dismember France as much as possible and divide up their domains; assign Belgium and different Italian for the Emperor possessions while it would weaken the English maritime Empire. The ambitious Treaty was signed by the new Spanish Prime Minister, Juan Guillermo Ripperdá Dutch-inspired. The Treaty was made public with the consequent reaction of other European powers who rushed to form the Alliance of Hanover, in the year 1725. This union included practically all of Europe against Spain and Austria, so the Spanish Crown had to rectify and yield to the Allied pressure. This political mutis cost the position to the Prime Minister Ripperdá, in the year 1726. Precisely the Government of Spanish ministers would begin from the year 1726. José Patiño took over, in the year 1726, finance, and Navy secretariats, Indies and from 1733, external relations, what he/she did to be the strong man of the new Government. He/She energized the reorganization of the Spanish Navy, the army and the Hacienda. It also prompted the policy, creating a company that channeled the trade with America. José Patiño advocated a foreign policy of realistic and pragmatic Court, always looking for the support of the strongest at that time, and accepting the spirit of continental balance so they wanted France as England. 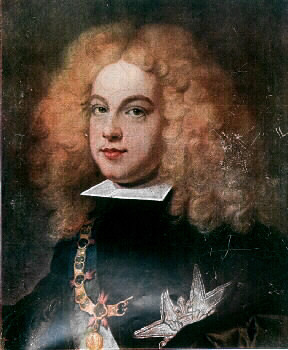 Through the Treaty of Seville, the year 1729, was obtained the recognition of the duchies of Parma and Plasencia to the future King Carlos III. At the same time, Patiño returned to resurrect the Spanish expansionist policy in North Africa, retaking the square of Oran in 1732, plaza that had been lost in 1708. Patino, in a beginning, leaned for a rapprochement with England, but, realizing his excessive naval power and that was the greatest enemy to Spanish interests in the trade with the colonies, precisely because of this maritime power, it changed course, and the first family Pact with France signed in El Escorial in the year 1734. Through this agreement, Spain committed itself to helping France to impose on the throne of Poland to the brother-in-law of Luis XV, Stanislaus Leczynski. In return, the French secundarían Spanish politics in Italy and occupied Gibraltar in the event of English intervention. The effectiveness of Patiño as Minister of war was demonstrated in the Organization of the army that he/she departed for Italy. In the year 1734 fell Naples and Sicily. France lost the chance of seeing their candidate on the Polish throne by which negotiated peace with Vienna, separately in the year 1735. Spain met again isolated and alone, when struck the showdown with England, in the so-called Guerra of the ear of Jenkins, as a result of the constant English ambitions in American commerce. The Spanish Squadron left airy confrontation, achieved this recognition of the Crown of Naples and Sicily in favour of the infante don Carlos. (See family Pact). In the year 1740 died the Emperor Carlos VI, who had been appointed heir to his daughter, María Teresa, causing a new war by the succession of Austria. Both France and Spain supported candidate Carlos de Baviera, while María Teresa was supported by England. In the year 1743 was signed the so-called second Pact of family, in Fontainebleau. In this partnership, Spain supported France in the war of Austrian succession, forcing Luis XV to help Spain in the reconquest of the Milan, Gibraltar and Minorca. Francoespanoles armies were again defeated, in the year 1746, by Carlos Manuel de Saboya, forcing them to leave the area. When Felipe V died, the war of Austrian succession is still maintained in full swing as well as signed in the second Covenant of family. The new monarch, Fernando VI, inherited the consequences. Dynastic politics of Isabel de Farnesio. Administrative reforms during the reign of Felipe V were inspired by the centralist policy of the French Bourbons, also meant a clear intrusion and French intervention in Spanish politics. This was patent from the first moment. The own Luis XIV proposed his grandson people suitable for the most significant posts: Jean Orry as Secretary of the Treasury; Princess des Ursins as confidant of the French monarch and mentor of Felipe V. following the same lines, strengthened the centralist system, established by Felipe V, led to the Spanish monarchy from the 18th century to a regime of pure monarchical absolutism, with the fall in disuse of the courts and councils; only reaffirmed the preponderance of the Council of Castile. The changes in the territorial administration produced by the promulgation of the Nueva Planta decrees imposed in Valencia, Aragon, Catalonia and the Balearic Islands (territories which belonged to the old Kingdom of Aragon), uniting them with Castile, did not affect the Basque country and Navarre, where were respected their fueros and ancient privileges by the loyalty shown to the monarch in the war of succession. Spanish ministers took one further step in the reform and the country's recovery. The promotion of the Navy began with Alberoni and continued under the direction of José Patiño, and later with Campillo, the same thing happened with the army, reorganized under the French model. It protected the industry and above all trade with the American colonies, which were still the main source of income for the Treasury. The reign of Felipe V was involved in a cultural splendour more formal than real, which culminated in the creation of numerous academies, in imitation of the pictorial movement of France. The Royal Spanish Academy, as well as the Royal Library was founded in the year 1713. In the year 1713 Felipe V promulgated the Salic law (of clear French origin), which prohibited women inherit the throne of Spain should have some available male by direct line. Since it did not all legal requirements fulfilled in its enactment, this Act would cause later serious damage to the country during the next century, the happen to Fernando VIIhis daughter Elizabeth II, triggering the Carlist War, named for the pretender Carlos María Isidro, brother of the King. (See Carlist Wars). Felipe V was a King always skillfully managed and influenced by the women who surrounded him, and especially by his second wife, the reina Isabel de Farnesio. At the beginning of his second reign, his psychotic symptoms exacerbated, what he/she did, along with a great apathy and disinterest, he/she delegated the guidelines of the Government in the hands of his ambitious wife and José Patiño, politician of great stature and vision. Despite this neglect, Felipe V allowed almost all initiatives that are proposed to be undertaken for the benefit of their kingdoms; Thus began a process of recovery after prostration reached the Kingdom after the disastrous reign of the last of the Habsburgs: Carlos II the Bewitched. In foreign policy was definitely accomplished the settlement of the Spanish Empire in Europe, through a series of treaties that made that Spain should be a major player in the political game to be mere comparsa. Finally, we must highlight the fact that since the third decade of his reign, and until his death, Felipe V was an extravagance and an alarming mental deterioration: I slept day and took care of the Affairs of Government by night; organized hunts at two in the morning; He/She wanted to ride the horses pictures-painted or embroidered on tapestries of the Palace; or it was carried away by a frenetic sexual activity to then end up taking refuge in a Puritanism and religious celibacy extreme and delusional. Luckily for the Kingdom, political targets were in the hands of the Queen and successive Ministers. Oath and homage of faithfulness to Felipe V.
AGUILAR PIÑAL, f introduction to the 18th century. Madrid, 1991. SÁNCHEZ AGESTA, l: the political thought of the enlightened despotism. Seville, 1974. SALES, J VIDAL. A: Felipe V. Barcelona, 1997. Q: Felipe v, VOLTES BOU founder of contemporary Spain. Madrid, 1991. DEROZIER, A. centralism, illustration and agony of the old regime. Madrid, 1980.